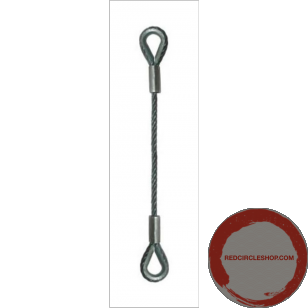 Eye to Eye steel slings are most commonly used as safeties when hanging truss with spansets or for direct suspension of audio and lighting equipment. 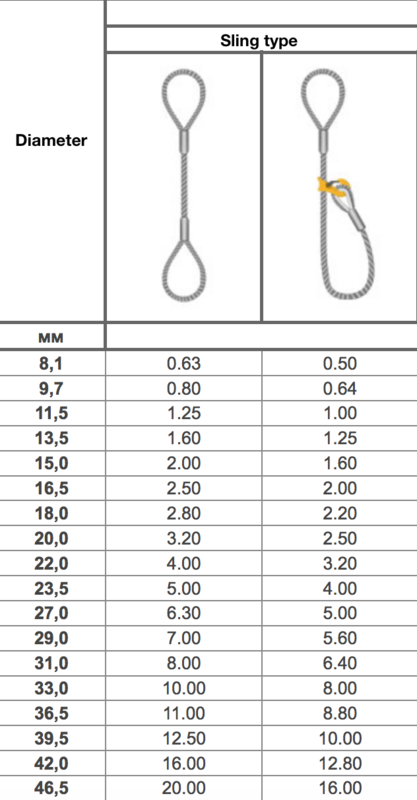 You can use it singularly or in a pair, Prices is per one cable, please choose characteristics and WLL below. 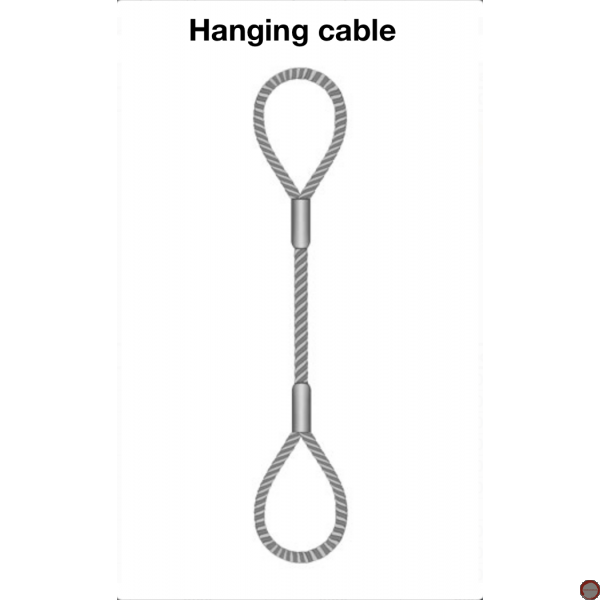 Rope slings are the most common type of load-handling devices. 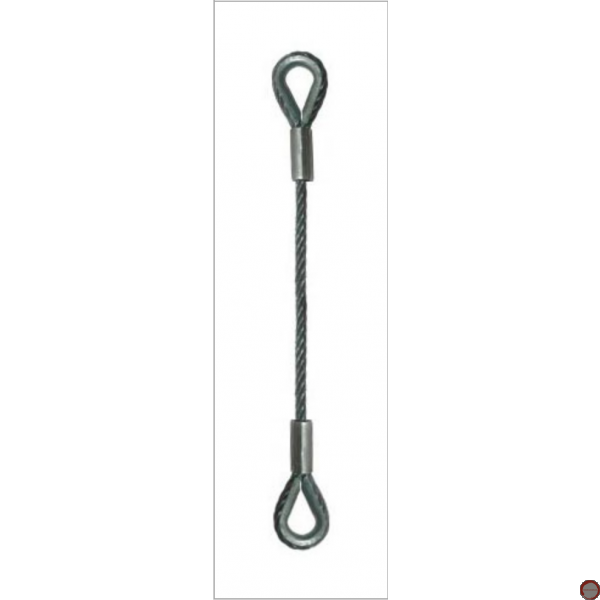 In many countries, most of the lifting operations are traditionally carried out using steel rope slings. 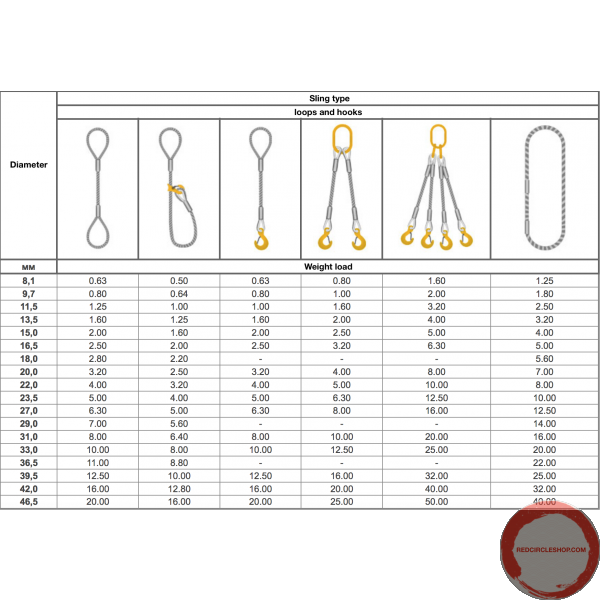 The reason for such popularity is the accumulated rich experience of their use, the possibility of using various types of slinging, the prevalence and cheapness of the products themselves, as well as the absence until recently of alternative types of lifting lines from more modern materials. 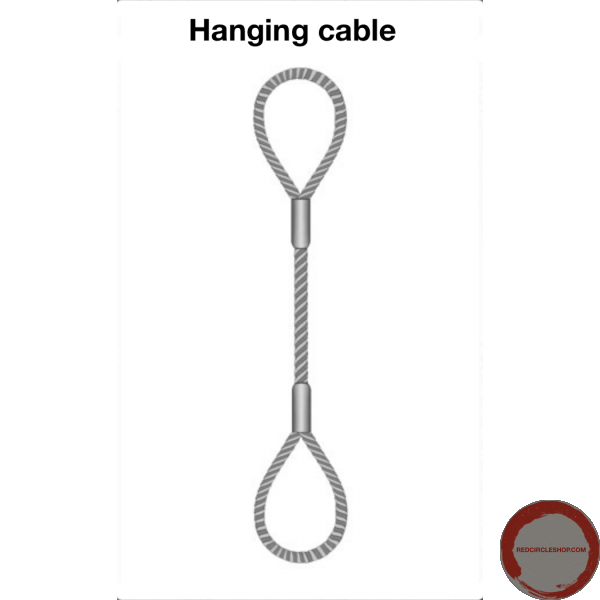 Cable rope slings have a number of advantages, among them: - high load-carrying capacity and flexibility; - less labor-intensive in manufacturing than other types of slings; - have sufficient reliability and stability to sharp dynamic loads, as the rope smoothes them; - the destruction of the rope during the operation is not sudden but gradual, which allows you to monitor the condition of the line and remove them from time to time. 1. Hand braid (interlacing strands of the free end of the rope in the body of the sling). 2. Crimping in the press with an aluminum or steel sleeve. 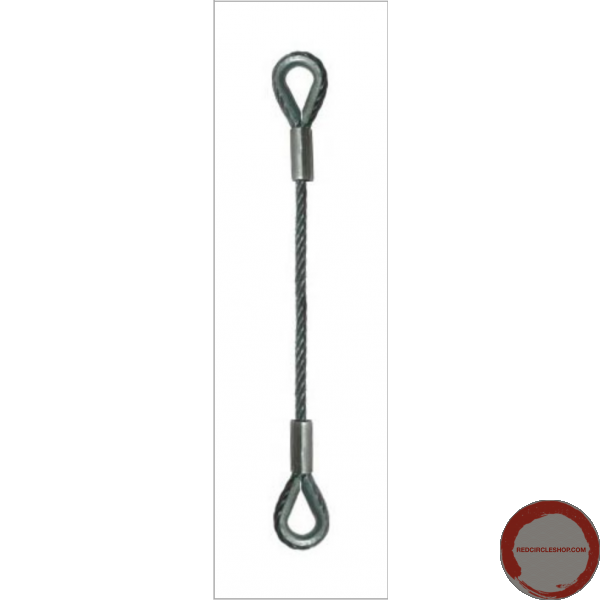 The company sell lifting slings of any types, designs, lengths, carrying capacities, on its own production site. The production facilities are equipped with modern press equipment, hand-braided machines, and a test stand. We work with light and galvanized ropes with diameters of 4,0 - 65,0 mm, which makes it possible to manufacture slings with a lifting capacity of 0.25 - 60.0 tons. Quantity for delivery - from 1 unit. 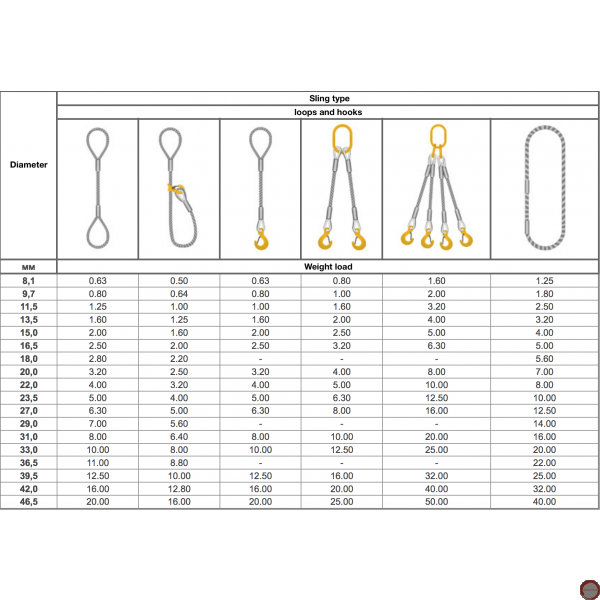 The most common designs of slings are given in the table.